This show broadcasts on December 16, 2015. 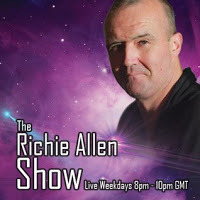 First 40 minutes: Alternative radio legend Richie Allen interviews me on the False Flag Islamophobia Conference held last Saturday in Paris…and on Islamophobia in general, and the pathetic bigotry coming out of InfoWars’ Paul Joseph Watson in particular. We cover a wide range of subjects as I respond to audience questions about Islam and the neocon-Zionist war against it. San Bernadino shooting story shot full of holes by patsies’ attorney. This entry was posted on Tuesday, December 15th, 2015 at 7:54 pm	and is filed under 9/11, Anti-War, Censorship-Propaganda, Death Squads, Education, False Flag/Fake Terror, Freedom, Geopolitics, Justice, Kevin Barrett, News, Protest, War Crimes. You can follow any responses to this entry through the RSS 2.0 feed.